I spent Tuesday morning at the tire shop listening to Let It Snow. I was not surprised to be there; new construction is plentiful in the neighborhood, and eventually a piece of it would surely find a way into one of my tires. As I sat in the waiting area, admiring the Christmas tree, listening to the Christmas music playing overhead, it occurred to me that there is something truly universal and unifying about this thing we call Christmas. Not only is it so important to Christians around the world, Christmas is a significant part of our national heritage and its presence is felt everywhere we go. In Christmas we find a reflection of who we are as a culture, evident in the number of Christmas movies, Christmas books, Christmas songs, Christmas trees, Christmas candy, Christmas EVERYTHING this time of year. From Rockefeller Center to the local tire shop, the Music of Christmas surrounds us. In the midst of it all, there is a nostalgic corner where traditional meets modern, secular meets sacred, and a unique blend of all things Christmas comes into view. Pretty much everyone knows at least a few lines from Silent Night, Joy to the World, White Christmas and Rudolph the Red-Nosed Reindeer. Most of us have never actually roasted chestnuts on an open fire, but the lyric is inscribed on our hearts. The Music of Christmas is unlike any other: from songs that clearly depict the birth of the Messiah (like Away in a Manger) to songs that really have nothing to do with Christmas (like Jingle Bells, Batman smells). It fills the airwaves, fills our hearts and fills our collective remembrances, often calling to mind the strong emotions of the season. "Jingle Bells, Batman smells" is fun to sing, but not really a Christmas song. If you love music, then Christmas really is the best time of the year. It is the one time of year when everyone involved enjoys tradition and singing old songs in a new way. We long to watch movies from 60 years ago, and we want to sing songs that have been around a long time, like Joy to the World, O Come All Ye Faithful, and Silent Night. We can package it in the modern, or strip it down to the basics, but the Music of Christmas remains universal. Why do artists keep recording Christmas albums? Because we keep wanting to hear them! 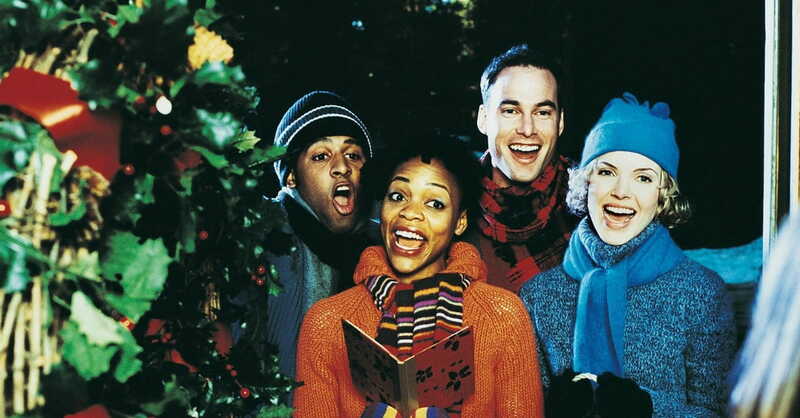 At the heart of Christmas music are the Christmas carols. Songs like these have been sung for generations. It is still fun to sing about those who “go a wassailing among the leaves so green” and those demanding that we bring them some figgy pudding before they leave our property. But even more rewarding is to sing songs declaring the birth of the newborn King.